A MELTON family’s outdoor Christmas lights display has been blamed for six seizures in the past fortnight. 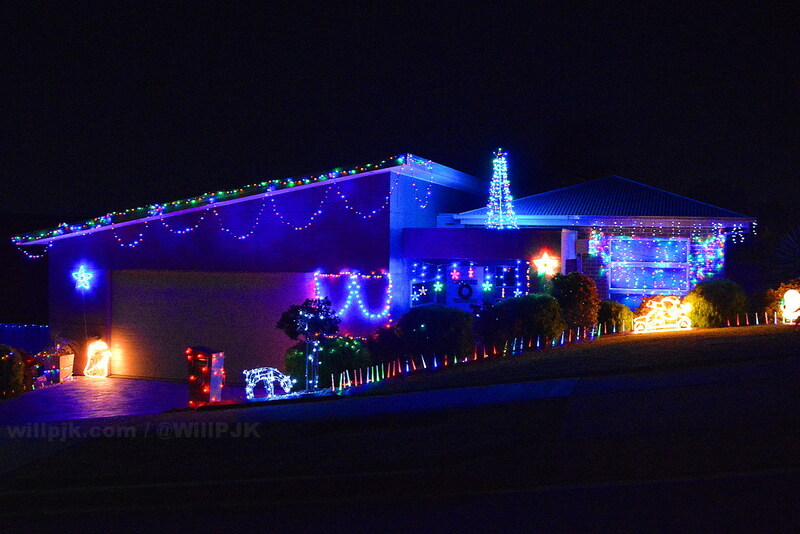 Last night police forcefully switched off the Watt family’s display on Norma Street after neighbours and VicRoads complained about the strobe effect of 27 individual lighting elements causing fits and distracting drivers. “This is the twelfth lights-related incident we’ve been called to this week,” Melton Police constable Nick Lord told reporters this morning. Accidents caused by festive lighting have not been restricted to those on the ground. Civil Aviation Safety Authority director Mark Skidmore AM told The Chaser some lights displays had interfered with commercial airlines. “We had one incident in Essendon where a pilot attempted to land between two rows of super-bright LED lights running along a suburban fenceline,” Mr Skidmore said. Law enforcement is not the only group criticising outdoor lights. Monash University anthropology professor Greg Berryman said the size of your Christmas lights display may say more about you than you may think. “Our data shows an inverse correlation between the number of lights outside a home and the number of lights at home, so to speak,” Dr Berryman said. “We have theorised that this is how the Hobart City Council came to design that horrible, horrible tree.